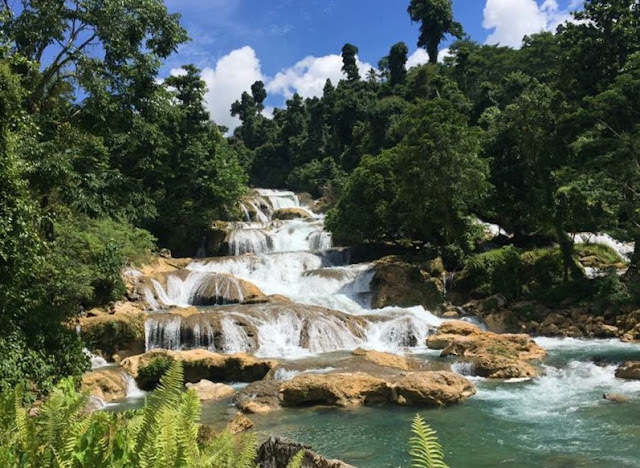 As part of our Experience Davao Oriental tour arranged by the local government of Davao Oriental, we headed over for our third day to the mighty curtain falls of the region. Although sleepless and tired, we forgot about it as we were treated to the province’s stunning scenery. Aliwagwag Falls Eco Park is gloriously surrounded by a beautiful forest. I was actually under the impression that it was going to be another trek day but with its generous and exquisite display of beauty just along the main highway, the falls didn’t require any walking as it is already accessible to all kinds of transportation. 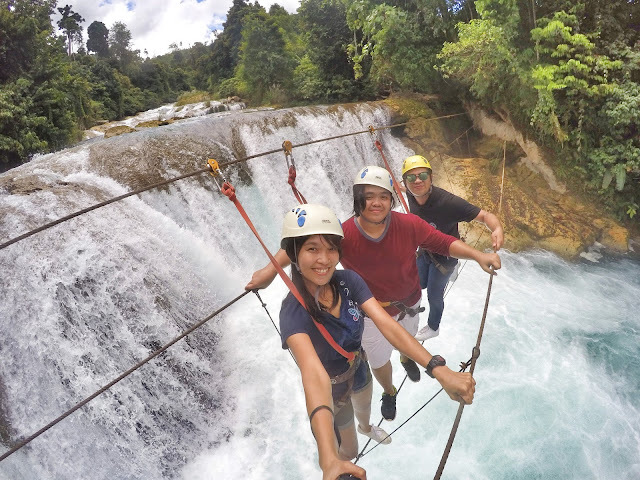 Aside from its stunning view, this breath-taking paradise offers exciting activities like the Monkey Bridge and the Zipline. Although during my visit, the 680-meter Zipline wasn’t available and was undergoing maintenance, my game face was still on as it was my first time to try a Monkey Bridge activity which is a 45meter above ground and cost P100 only. It surely gave me an incredible panoramic view of the whole place with the falls as backdrop. This quick trip to an awesome example of God’s creation is an experience that is good for the books and I am looking forward to seeing it again. We capped the visit with a very sumptuous lunch prepared by our host then jumped off to Davao City via Compostela Valley.